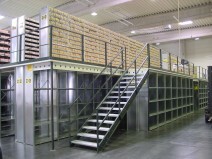 Whether it be for offices, production, or storage space mezzanines are a quick and effective means of increasing plant size. Compared to new construction or facility relocation, mezzanines are less expensive, significantly more efficient, and provide good value in doubling your useable floor space. Typically built in two to three days, customers have found these structures so effective, they often grow with their business. Another overlooked fact is that these structures are easily moveable or alternatively, provide good value to most any tenant. 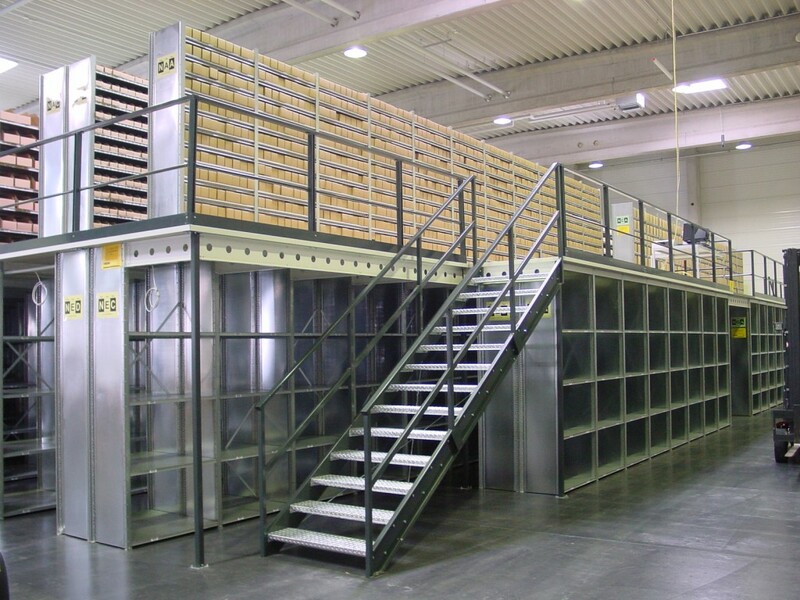 At Prestige Racking all our mezzanines are custom designed for both weight and seismic requirements and can be built in virtually any configuration. Deliveries are typically four to five weeks and once completed, due to their free standing nature come with an engineered stamped drawing aiding in their compliance with local building code requirements.